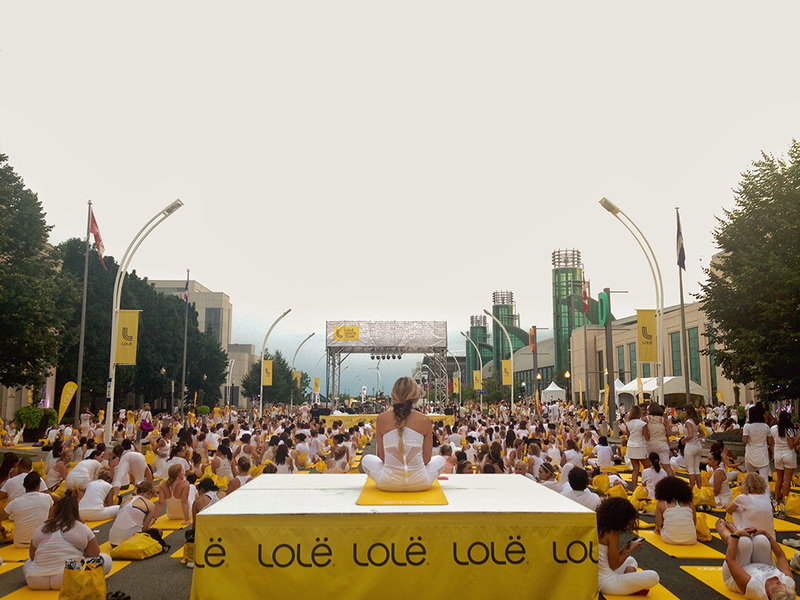 Lolë White Tour is a unique, unforgettable event for celebrating our love for yoga. Its main purpose is to create an intimate experience, even though you’ll be surrounded by hundreds of like-minded yogis. The tour is dedicated to finding your inner peace, and it offers an amazing wellness experience for all levels, ages and body types. In other words, it’s the perfect place to focus on yourself and your needs, to clear your thoughts and identify your feelings, and to simply unwind and relax your entire body. What sets apart the Lolë White Tour from any other similar event is the requirement for all participants to be dressed in white – the symbol of peace and serenity – from head to toe. As you can see, wearing white is more than a dress code – it’s a statement! 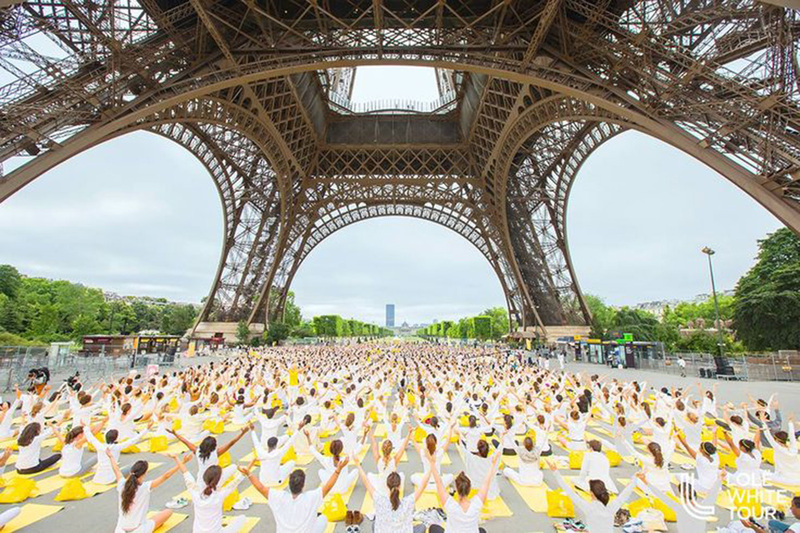 You all come together as one in a magnificent yoga session dedicated to peace. This makes the Lolë White Tour an unforgettable experience that stays with you for the rest of your life. The session will be led by Lolë ambassadors with live musical performances. You’ll be inspired by the mesmerizing yoga teachers, as they guide you through the event combining yoga, meditation and music. In other words, you’ll be able to tune into the music and tune out the world around you. Sounds like something you’d like to try? All you need to take with you is a water bottle, a light white cover-up and of course, your ticket. There’s no need for a yoga mat, because one will be provided for you at entry. If rain is in the forecast, feel free to bring a light white jacket or a white rain poncho. Phones are also permitted, as long as they are on silent mode. You can post pictures and share the love during the entire event. Don’t forget to use the hashtag #lolewhitetour. 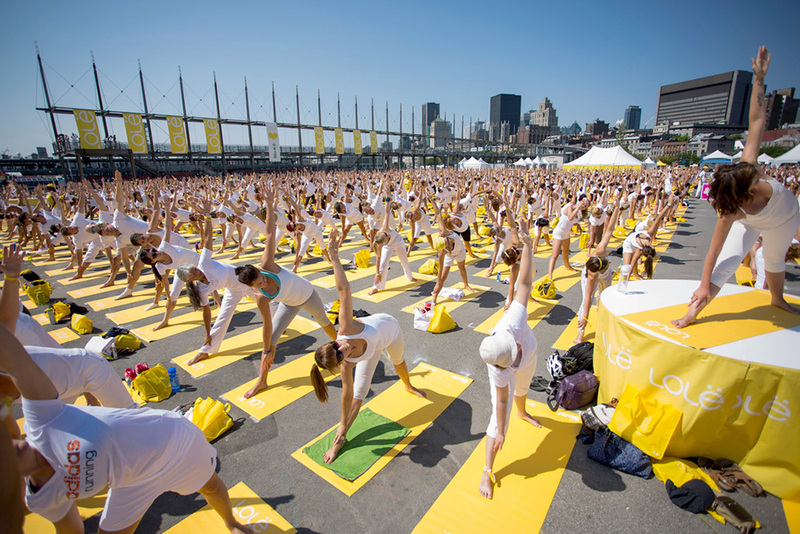 Lolë White Tour will be held in Toronto, at the Exhibition Place on July 26th for a sunset yoga and meditation session. The event starts at 8pm and finishes at 10pm. Elena Brower and Megan Marie Gates will be leading the Lolë White Tour in Toronto. Elena Brower is a mother, teacher, author, speaker and Presidential Diamond leader with doTERRA. She has taught yoga since 1999. Megan Marie Gates is a movement-yoga teacher, as well as sound healer and a ritual guide. 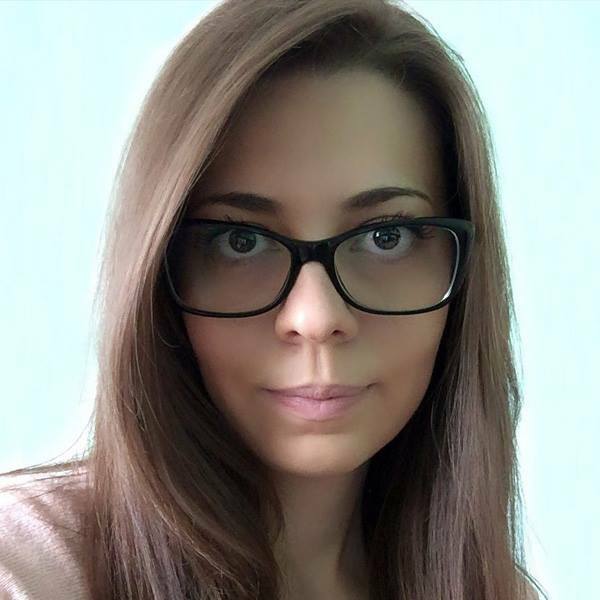 Coming from a professional background in music theatre, she has an uncanny ability in finding the bridge between the creative and healing arts. Together, they will help you find inner peace that leads to balance, love and happiness across every aspect of your life. They will also wake up your body and re-energize you like never before! Matt Holubowski will be doing a 20 minutes performance before the main yoga session in Toronto. He will also be responsible for the music during the 75-minute yoga session. At the end, Megan Marie Gates will take care of the sound healing of the meditation session. Though many people attend just in order to experience unprecedented peace and serenity, there are many opportunities to meet great folks. Connecting with like-minded people in person, especially under the atmosphere of the event, is alone worth the trip. On the other hand, if you are a Yoga enthusiast, there is a chance to learn a garden variety of fundamental principles. Some people hope to improve their flexibility, and work on their fitness as well. I won’t agree that this is a legitimate option (there are many other festivals and events where you can really improve your fitness), but you will definitely learn some tricks and tips that will open up a flood of fitness improvements down the road. If you are here to lose weight, look for another event. This one will definitely give you the tools in order to progress later, but weight loss is not the focal point. If you want to arrive at the event in better shape than ever, simply follow our guide on how to lose 10 pounds in a week. 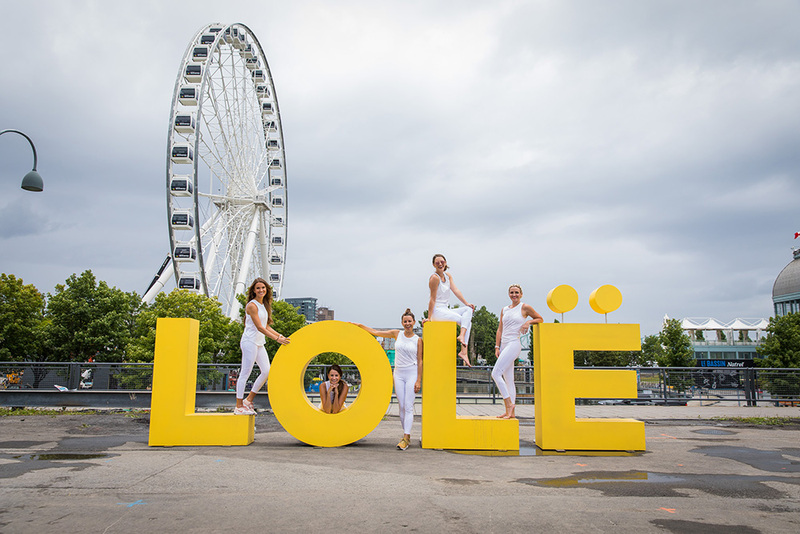 Lolë White Tour will be in Montreal, at the Jacques-Cartier Pier and La Scena on August 18th for a shake up and wake up, morning yoga and meditation session, wellness workshop and UNDA YOGA. The 4-part event starts at 7am and finishes at 2:30pm. Prices for the main Lolë White Tour morning yoga and meditation session are $59 Regular Yoga Session, $54 for Friends & Family Yoga Session and $156 for VIP Yoga Session. The tickets include everything that was previously mentioned in the price section for the Lolë White Tour at Toronto. 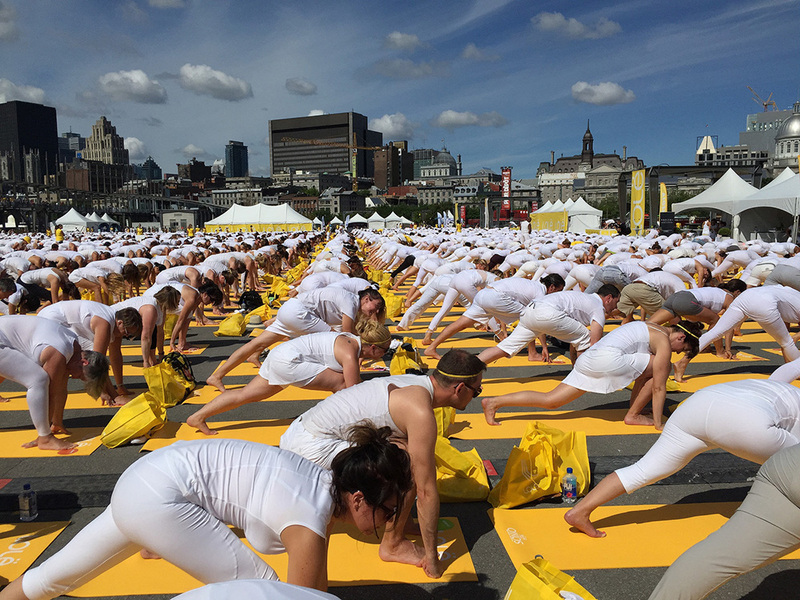 The Morning Yoga and Meditation Session will be held at the Jacques-Cartier Pier. The event starts at 10am and finishes at 11:50am. Sylvie Tremblay and Adam Mahmoud will lead the main event for the Lolë White Tour. Sylvie Tremblay is the founder and director of Centre Yoga Sangha. She teaches for years and has led workshops and retreats around the world. Also, she carries the title Yogacharia (yoga master). Adam Mahmoud is an international yoga and meditation teacher. He is also a professional fire performance artist. Combining his passions, he offers his students a unique holistic approach to body, mind and spirit, while helping them achieve balance. Together, these amazing teachers and mentors will create an unforgettable atmosphere, helping you reach the inner depths of your soul. After their session, you will feel like you’ve been reborn! A strong statement, but I’ve been in contact with many people who have already attended the event before. You can also invest in equipment and come prepared, so definitely check our section of Yoga accessories. The Morning Bliss Shake Up + Wake Up, organized by Selena ‘DJ Seriousblack’ Isles and Nadia Bonenfant starts at 7am and finishes at 8am. The price for the ticket is $35. This activity includes dance and yoga inspired party to kick start your day before the main event. Selena ‘’DJ Serious Black’’ Isles is the ‘Urban Yogi’. She is a global yoga teacher, international DJ, producer, single mother and co-owner at Béco Yoga + Boutique Écologique. Nadia Bonenfant is a mother of three boys, a yoga teacher since 2004, and the founder of JUNA Yoga with the sole objective of creating engaging programs and sessions allowing women to surpass themselves fulfilling their potential through yoga and adventure. Both of them have fiery passion for yoga, music and dancing, so they will make sure that your body is completely woken up for the day ahead. The workshop LIVING according to the C.A.R.E. approach, led by Fanny Gingras and Patrick Bélanger starts at 8:45am and finishes at 9:45am. The price for the ticket is $35. Be prepared to dive into your inner self with the help of this amazing technique. Fanny Gingras is the founder of Othā Yoga and of the C.A.R.E approach, which promotes holistic development of your physical and psychological well-being. She has specialized in many different forms of yoga. Patrick Bélanger has been a partner at Othā Yoga for 2 years. He handles business development, and he’s an assistant for the conscious breathing and during events. This workshop will help you learn and practice the development of physical and psychological well-being habits by applying the C.A.R.E approach. The UNDA YOGA, by Marie-eve Bertrand from POP SPIRIT starts at 1pm and finishes at 2:30pm. The price for the ticket is $35. For those of you who never heard about UNDA YOGA so far – it’s a practice on a wooden balance board. Marie-Ève Bertrand is the instigator of UNDA YOGA. She is also certified in yoga since 2010 and is the founder of POP SPIRIT. UNDA YOGA is a unique yoga experience for all those who want to try something new. Marie-Ève Bertrand is a brilliant teacher which will guide you through an amazing and useful practice. Matt Holubowski will be back for an unforgettable performance in Montreal as well. He will help you heal through his music during the main event. Following the end of Montreal’s yoga session, Selena ‘’DJ Serious Black’’ Isles will take-over the lead on music for the 10-15 minutes meditation session. Are you in Canada? Do you love yoga? Well, now we know where you’ll be on July 26th and on August 18th. We can’t wait to hear all about your experiences on these amazing events. Make sure to drop us a line in the comment section below and share some of the life-changing experience you’ll enjoy at the events. The readers of Lifestyle Updated want to know everything about it.